Per the seller, he has kept the boat in very good condition and has receipts from all the improvements he has made to it. See boats general description for details. The boat has been garage kept and always on a trailer, never left to sit in the water. The included trailer is roadworthy with new bearings, brakes, and tires. All annual maintenance has been performed on time on this fresh water boat. Stock #157677 EVERYTHING IS CLEAN, EXACTLY IN ORDER! There is not a more beautifully detailed and ready to use boat than this one! If you are in the market for a cuddy cabin, look no further than this 1985 Crestliner Nordic 22, priced right at $21,000 (offers encouraged). 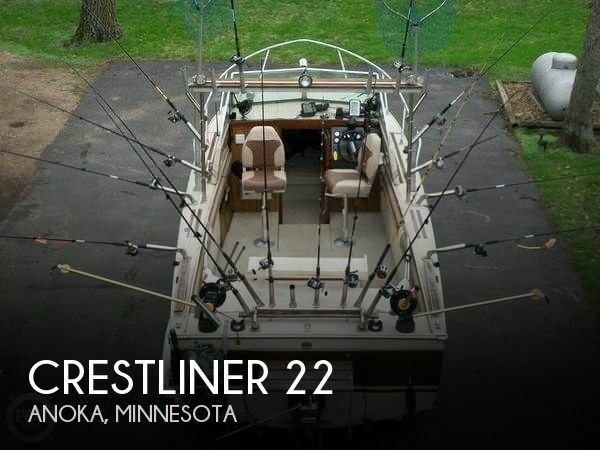 This boat is located in Anoka, Minnesota and is in great condition. She is also equipped with a Mercruiser engine that has only 13 hours. Reason for selling is health.